In a variety of ways, college kids can generate a great volume of junk. Whether they are leaving home for the first time, changing their dorm rooms, or moving out of their first apartments, there always is a ton of waste left in their rear view. These times of transition are often very hectic, both for the kids involved as well as their parents. I’d like to take a look at the ‘three states of college transition’ and how the waste left behind can potentially be put to good use. The transition of an 18 year-old to their college dorm can leave their parent’s home in a state of disarray. First of all, their old room is in limbo: should it be transformed into a guest room, exercise center, study, or entertainment mecca? The old bedroom is not the only affected area of the house. There are pieces of furniture, old toys and clothes, TVs, bikes, hobby sets, as well as ping pong and pool tables that will no longer be used by the college-bound freshman. It’s left up to the parents to navigate the waters from here. The first step is to take inventory of everything that will no longer be necessary – the clutter and junk items. The next step is to plan what do with all of the extra room. Is new furniture required? Is a total redecoration in order? The final step is to figure out how to haul away all of that junk. Many of the old clothes and toys can be donated to organizations like the Salvation Army. Larger items can be sold for reuse if they are in good condition on a site like Craigslist, or otherwise hauled away to be recycled at the proper facilities. This second state of college transition often occurs when a student moves off-campus to their first apartment. This means they will be buying their own furniture for the first time (another time to use Craigslist). This also means they won’t need a lot of that ‘dorm only’ equipment that their parents helped them buy a few years back. This includes shower caddies, mattress pads, mini-fridge / microwave combos, plastic drawers as well as a number of other novelty dorm items. Although some universities help out with getting rid of all this junk, for the most part the fledgling apartment dweller will be required to dispose of everything on their own in a responsible manner. This final state of transition happens when a college student moves out of their first apartment into the ‘real world.’ This could mean another apartment closer to a (hopeful) new job, moving in with a significant other, or transitioning to a different city. No matter where life is taking them, this newly minted member of the workforce will be required to deal with quite a bit of apartment junk that has accumulated over the past few years. This junk could include an old, heavy couch-set split among roommates, large boxy Televisions, Ikea-bought dining room furniture and old mattresses that certainly won’t make it to the next apartment. With a new job on the line, our ex-student most likely won’t be fully ‘with it’ in terms of making plans to get rid of all of these items. 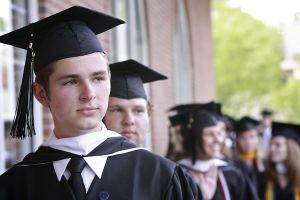 In fact, for any and all stages of college transition, students are going through a hectic time in their lives where they probably aren’t spending much time to think about what they are leaving behind. That’s why hiring a professional, affordable and eco-friendly junk removal service can make all the difference in making a smooth transition. No hassles, no worries, and a guarantee that all of those useless items find their way to the proper recycling facilities. This entry was posted in Furniture Pick Up, junk removal, Old Furniture, Old Furniture Pick Up, Recycling and tagged college movers, college moving, dorm, first apartment, junk removal service, old furniture removal, Recycling on September 23, 2010 by Junk King. Last updated September 23, 2010 .